There's just too many Blippers around here. 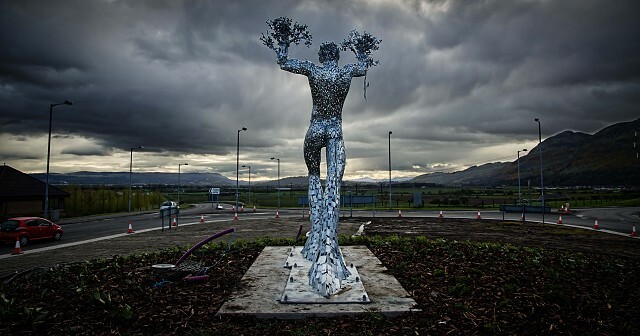 I was sure I'd get the first Blip of this Andy Scott statue being restored back to it's glory after a rather suspicious car accident took it out of commision some time ago. But no....Delphwynd beat me to it....I blame myself really...should have sneaked around to his house and let the air out of his car tyres so he couldn't get to it....next time maybe.